The small village Husøy located on a small island with the same name at the blue hour just after sunset. 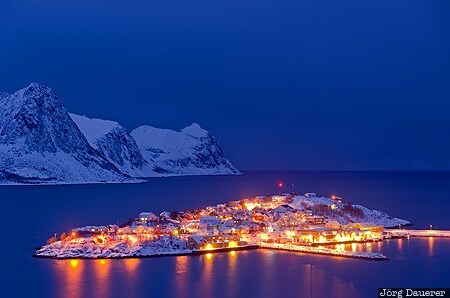 Husøy is in Øyfjorden at the northwest coast of the island of Senja in the north of the province Troms in northern Norway. This photo was taken in the evening of a cold and cloudy day in March of 2013. This photo was taken with a digital camera.